A wolf in sheep’s clothing! 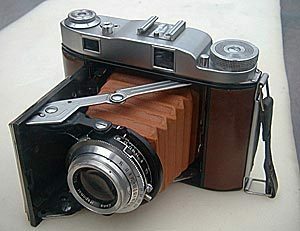 This is really a Baldix made for the giant German Photo retailer, Porst in Nuremberg, Germany during the 1950s through 60s. Hapo comes from combining Hans Porst = Hapo. Anyway, this is a really nice camera. Personally, it’s a favorite …film wind and advance work like a champ. A simple and robust mechanism. 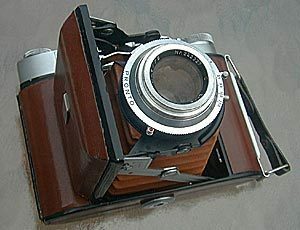 The camera in Hapo version is always fitted with a Pronto shutter and either an f4.5 or f3.5 Ennit, Ennar or Ennagon lens. 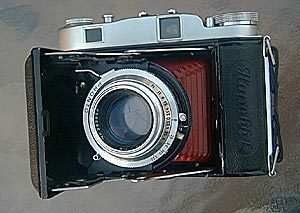 The choice of shutter means that you are basically limited to using nothing faster than 200 ASA on sunny days as the Pronto only goes to 1/200th sec. As to lens, I’ve shot the Ennit and Ennagon and have not been disappointed in the results. The Ennit in particular is excellent. Conclusion… I say wolf in sheep’s clothing because this camera performs really well and doesn’t get the recognition it deserves. 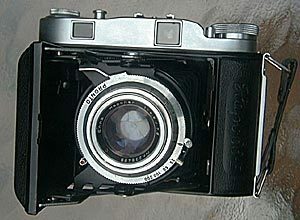 A NICE, attractive, sturdy, reliable camera that belies its moderate price and relative anonymity!